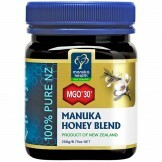 This Manuka Helath Manuka Honey is certified to have at least 30 mg/kg of methylglyoxal, which is proved to be one of the key ingredients that naturally occurs in New Zealand manuka honey. 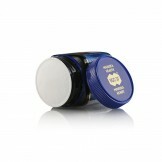 Add the perfect sweetness and original goodness of pure New Zealand honey to your food. Offering Manuka Health Manuka Honey MGO 30+ 250gm with fast shipping in Karachi, Lahore, Islamabad, Quetta, Peshawar, Rawalpindi and many other cities of Pakistan.